Researchers in Wisconsin have documented — for the first time — irregular brain activity within the first 24 hours following a concussion, as well as an increased level of brain activity weeks later. It all suggests that the brain may compensate for the injury during the recovery time. The findings of the study, led by a scientist at the Medical College of Wisconsin in Milwaukee, were published in the September issue of the Journal of the International Neuropsychological Society. 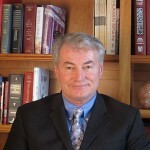 Thomas Hammeke, professor of psychiatry and behavioral medicine at the Wisconsin med school, was the lead author. Researchers at the Cleveland Clinic; St. Mary’s Hospital in Enid, Okla.; the University of North Carolina; Franklin College in Franklin, Ind., and the Marshfield Clinic in Marshfield, Wis., co-authored the paper. In an effort to study recovery from sports concussion, 12 concussed high school football athletes and 12 uninjured teammates were evaluated at 13 hours and again at seven weeks following concussive injury, according to a press release from the Medical College of Wisconsin. Seven weeks after their injury, the concussed athletes showed improvement of cognitive abilities and normal reaction time. However, imaging at that time showed the post-concussed athletes had more activation in the brain’s attentional circuits than did the control athletes.